A policy brief can come in different forms. It can be used in government processes, internal business relationships, and even on organizational practices. With this, it is important to remember that the content of simple policy briefs vary depending on their purpose and usage. 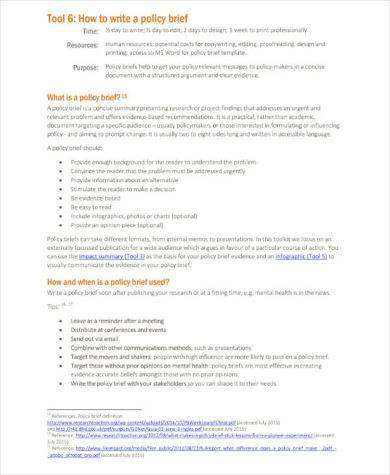 Even if there are variations when it comes to the information that you can see in this document, all policy briefs are expected to provide solution propositions that can help a community or a group address problems and issues that are well-defined and properly specified. 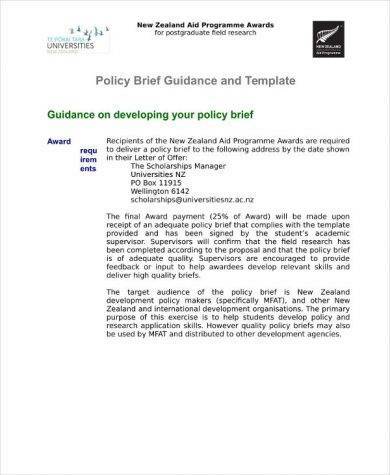 Since creating a policy brief is not an easy task, we have collected a number of downloadable brief templates and examples for different policies that you can refer to if you need help when making your own policy brief. 1. Know the issue that made way for the policy choices to be created. You have to make sure that you are knowledgeable of the things that are associated with the issue so you can answer any inquiries and questions once the policy brief has been disseminated. 2. Be aware of the policy brief’s target audience. You have to ensure that the people to whom the policy is for can view and feel the objectivity and fairness once they get their hands on the policy brief. You may also see marketing brief examples. 3. List down all the stakeholders that are responsible for the policy brief planning, development, and implementation. This way, you can regulate the policy in a more organized manner. 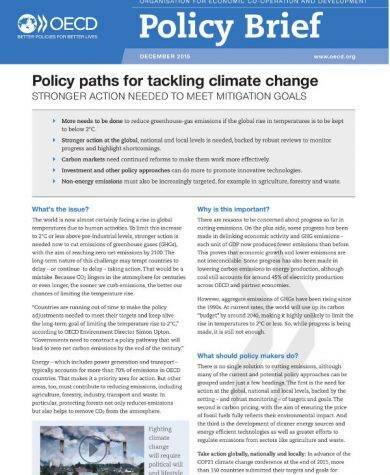 This will also help you to allocate call to actions and work functions to people who are aware of the specific ways on how they can contribute to the betterment of the policy brief. 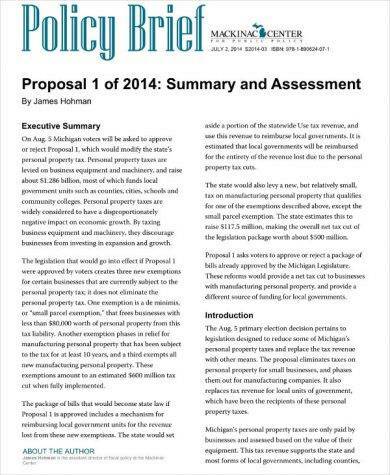 You may also see policy proposal examples & samples. 4. Have an idea of the policy action that is up for recommendation. People should know the reason why the policy has been made and it should be clear why they are expected to follow the policy brief content. You may also see event briefs. 1. 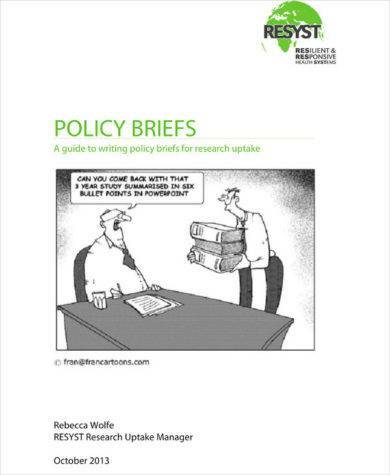 Have a policy brief title that can make the policy brief become more memorable. 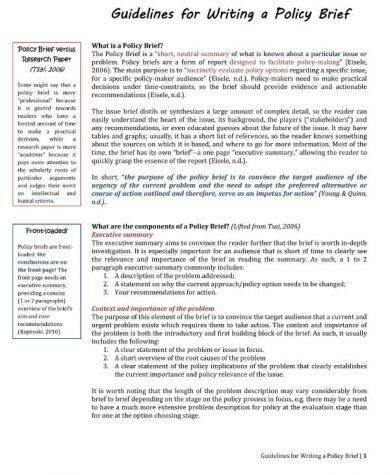 The retention of the policy brief title can help the target audience be more aware and familiar with what the policy is all about. Titles that will be made for a particular policy brief must be simple, concise, and direct to the point. You may also see case summary examples. 2. Come up with a policy brief summary statement. The more precise it is that you present the policy, the easier it will be understood by the workforce or any other entities who need to follow the policy brief. A summary statement can also help ensure that a wrap-up of what the policy is all about is at hand. 3. Put into details all the previous policy scope and statements that you think should be changed. 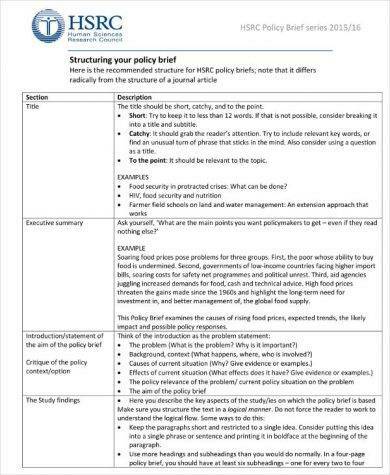 An effective policy brief must have a clause where critique of policy choices is specified. This is applicable if you would like to remove or add clauses in a policy that is currently followed by a business or an organization. 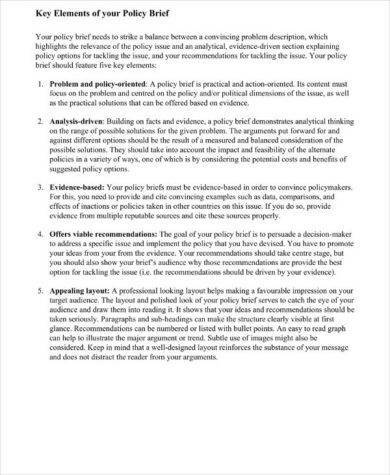 More so, you can incorporate this clause if the policy brief is still in its drafting stage and there are several items for consideration that are needed to be decided upon before a final policy is realized. You may also see marketing flow charts. 4. Discuss the importance of giving a solution to the problem at hand. 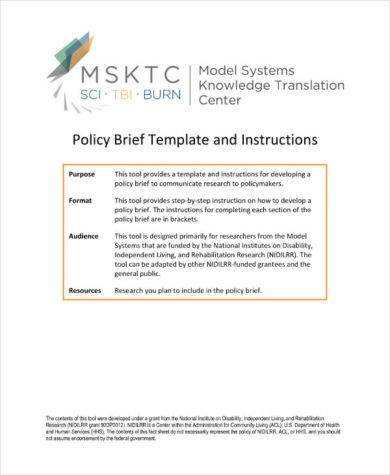 Your policy brief must contain the context on why the target audience must be convinced to take actions through the help of the program specified within the policy. 5. At the end of the policy brief, ensure that you will include policy recommendations, policy improvement specifications, and notes. This can be very useful if the policy brief will be used for future references. You can also check out marketing trends. 6. List down the sources where you got all the firsthand information that helped in the development and curation of the entire policy brief. Having these items readily available can make the policy brief more credible, trustworthy, and objective. 1. 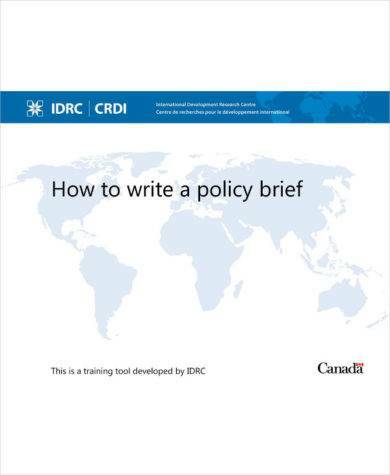 A policy brief helps summarize or outline policy objectives, rationale, and practicality. 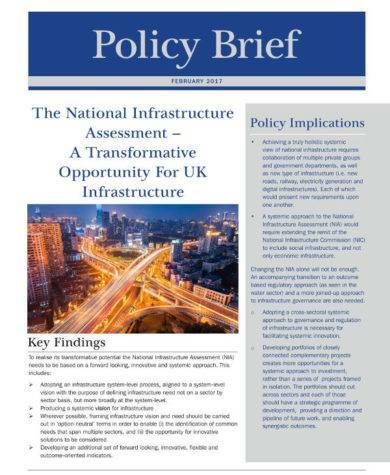 The main point of developing a policy brief is to ensure that the target audience is aware of the entirety of a policy’s benefits and if it is really necessary for the policy to be made and implemented. You may also see what is a briefing note? 2. 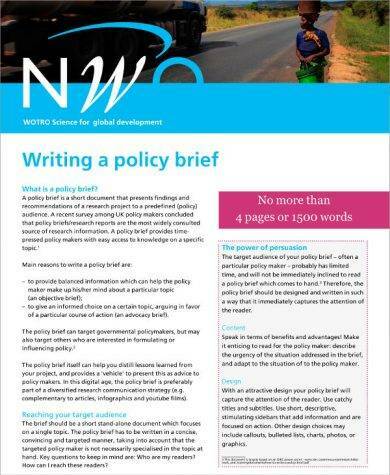 A policy brief, like in memo writing, must be accessible especially to the target audience. With this, the tone and the language that will be used for the policy brief are essential to be understandable. Since policy briefs include suggestions and orientation of desired actions, policy briefs are expected to be measurable, feasible, and attainable within a targeted practical state and time frame. 3. 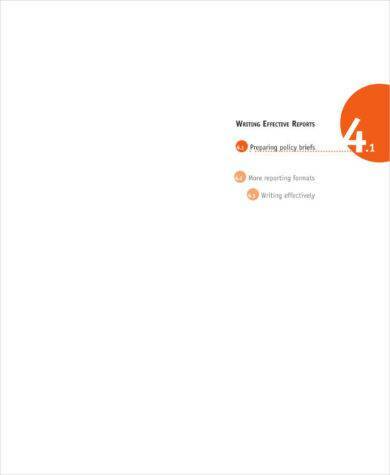 A policy brief is a focused document that is usually made for business, corporate, and professional processes. 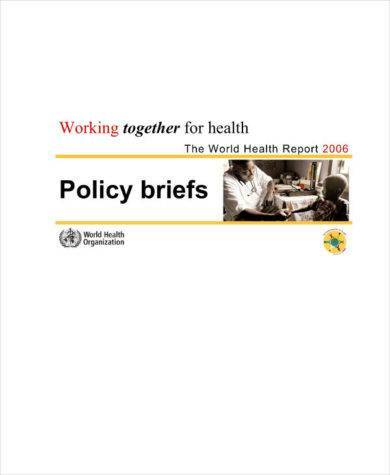 Since policy briefs are formal documents, it is essential for its content to be based on facts and evidences. 4. A policy brief can be used in different industries and fields of expertise. Most policy briefs are created if there are policy campaigns that are essential to be distributed. With the weight of the policy brief implementation in terms of its impact to business operations or organizational processes, a policy brief is actually one of the hardest and most crucial documents to write when finalizing a policy. You may also see activity reports. 1. Use downloadable examples as one of your main references when writing a policy brief. Having content guides can help you create a policy brief that is more packed with relevant and necessary information. You may also see welcome speech examples. 2. 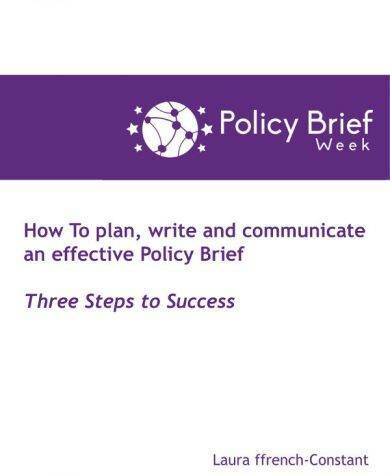 Make sure to review the policy brief first before disseminating it to the target audience. It will be best if you can seek for the advice of the management and all the other decision-makers of the business or the organization. This way, the policy brief can be more refined. You might also be interested in technical reports. 3. Have a general plan as to which the policy brief will be given at the fastest time without sacrificing the quality of its presentation. This way, your outreach plan can improve the acceptance rate of the policy brief. Whether your policy brief is for a change management plan or any other kinds of undertakings, activities, and processes, ensure that you will look into all the minute details of the document so you can make the most out of its usage.